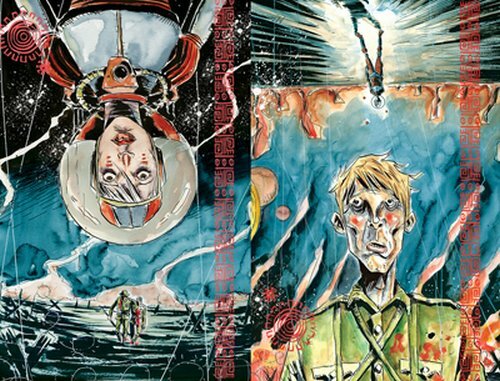 When did Jeff Lemire stop focusing on original work? There’s nothing fundamentally wrong with the author’s runs on commercial properties like Green Arrow or Justice League Dark, but this is the same man who created such haunting, introspective serial literature as the Essex County Trilogy, The Nobody, and The Underwater Welder. Letting Lemire tackle mainstream cape fodder has made some interesting, above-par comics, but they’re ultimately constrained by their formulaic nature. On a similar note, I’m sure Terrence Malick would direct a fascinating Transformers sequel, but I’d much rather listen to the filmmaker’s poetic monologues weave through arresting landscapes, because that’s what he does and does well. Ultimately, Lemire is a capable mainstream comics scribe whereas he’s an exceptional indie auteur. Why aren’t we seeing more of the latter? Trillium echoes the above question loudly. This first chapter of an 8-part sci-fi romance is the best thing Lemire has written since his last creator-owned epic, Sweet Tooth, which he also illustrated and released through Vertigo. Trillium aches with personality, tragedy and pathos in its introduction of a boy and a girl separated by time and space. It’s very, very good with the potential to be great, and possibly — by Lemire’s own admission — the best thing he’s ever done. The issue splits itself into two narratives that join in the middle. 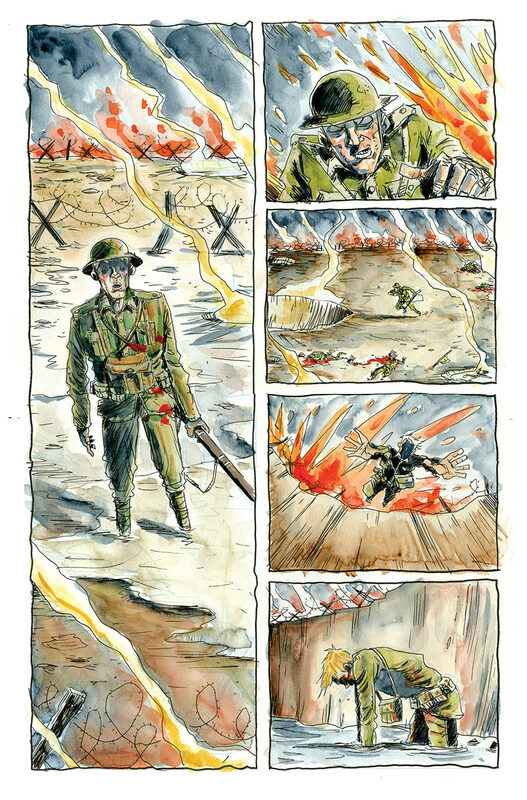 Utilizing the “flip-book” design, one half presents the tale of World War I veteran William Pike as he ventures into the Amazon to search for a mystical cure to his harrowing post-traumatic stress disorder. 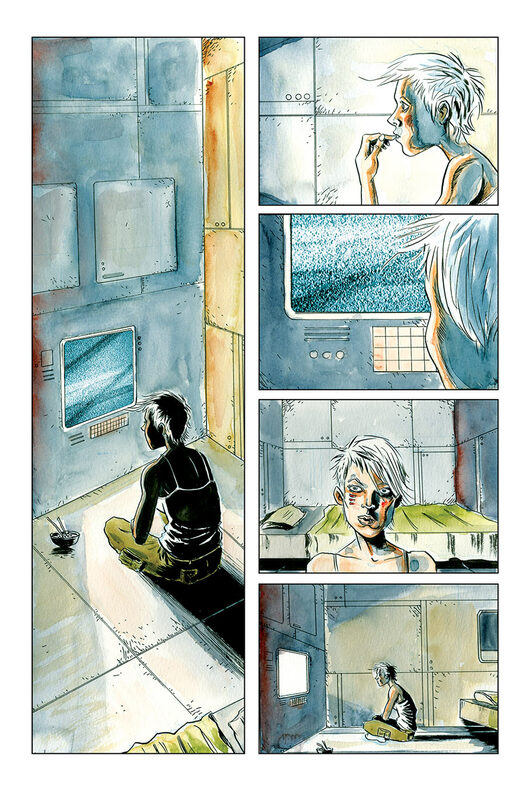 Turn the comic over with a vertical spin, and watch botanist Nika Temsmith as she hunts for a rare flower – the titular trillium – to cure a sentient virus devastating mankind in 3739. Both segments depict fascinating characters enduring horrifying situations, though William’s desperation creates a far more involving atmosphere. Much like many of Lemire’s protagonists, he’s flawed and broken, and the people around him suffer as a result. And Lemire’s pencils aren’t afraid to show how flawed and broken his characters are. Like stop-motion animation, the visuals groan and crease with small fractures and stress lines, most noticeably in the wrinkles of Pike’s forehead or the gaunt outline of his cheeks. Conversely, Nika’s steadfast resolve comes across in her confident body language and assertive gaze. These aren’t characters who will inspire action figures, but they do inspire emotion. And enough can’t be said for the water coloring; much like Matt Kindt’s work in MIND MGMT, these warm, craggy stains provide a texture that makes these worlds that much more tangible. The best moments of Trillium are the ones that superficially say the least; Pike’s textless flashback to a trench turned mass grave is especially evocative. Nika’s sci-fi portion is a tad busy, but its exposition segues to a gorgeous psychedelic splash page and art that breathes much more easily. 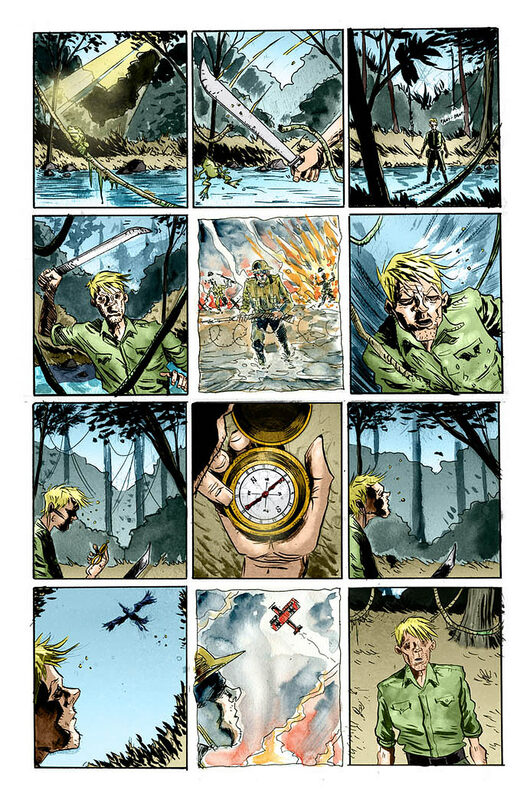 If Lemire has adopted the quicker pacing of his recent works, he still knows when to pan the camera back and let his layouts project the vivid imagination bustling inside of him. 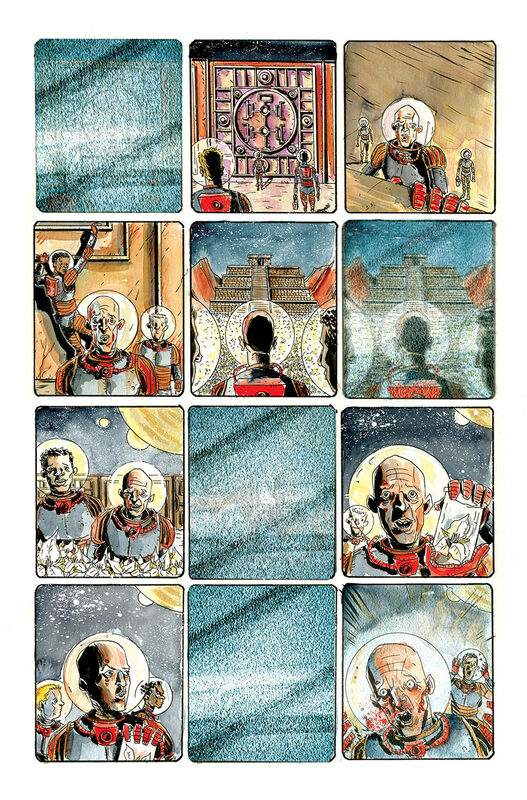 And that’s what makes Trillium such a special work: this is a piece of an artist pulled from a deep place nobody’s ever seen before. And for Lemire to share that, all we can say is thank you.